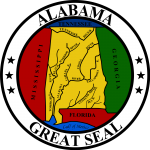 Alabama deeds are used to transfer the title of property from one (1) person (the “Grantor”) to another “(the “Grantee”). 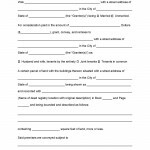 In most cases, this form is signed after a purchase agreement for the real estate has been fulfilled. 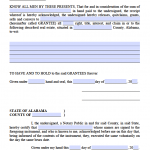 The Grantor should only sign the deed after the the money has been verified as cleared into their bank account. 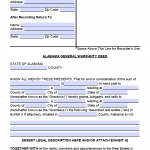 After it has been signed and notarized it may be brought to the Probate Judge’s Office for recording where the ownership transfer becomes legally public.